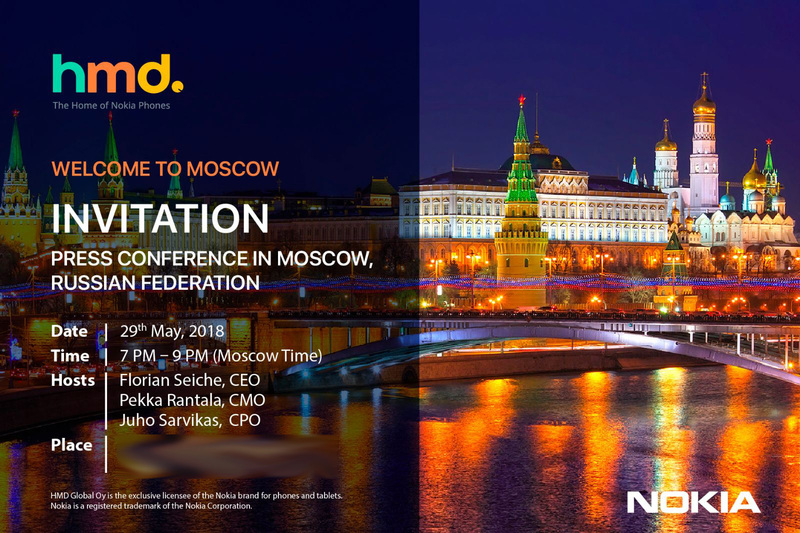 HMD Global scheduled a press event this month in Moscow, Russia, where they are expected to announce new Nokia devices. The event will take place on 29th of May with the beginning at 7 pm, Moscow time. The event will be hosted by HMD’s CEO Florian Seiche but he will be accompanied by HMD’s CMO Pekka Rantala and CPO Juho Sarvikas. We have been invited to the event so you can expect our full coverage of whatever we’ll see there. No further info has been provided to us so we can only assume what will Nokia Mobile, or HMD Global, show there. But, I won’t do that since we all know that assumption is the mother of all *uc*ups. Anyway, this is great news and we are all super excited.